There are many different statistical tables, from tables showing the probability density functions of some common distributions for the different parameters values to showing the cumulative distribution functions values. However, the goal when using statistical tables is just one: to determine if a specific statistical result exceeds the significance level. The Z Table is very useful because it can be used in different hypothesis tests. These tests include tests on proportions, the difference between two means, and even tests on single means. 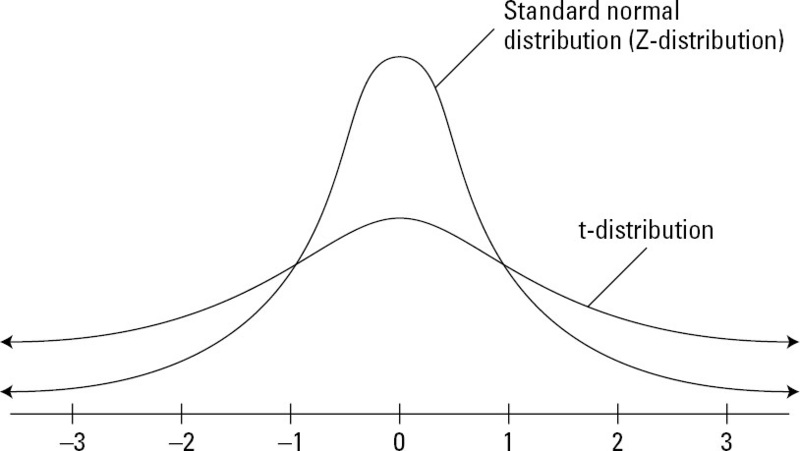 The standard normal distribution varies between 0 - the mean, and 1 - the standard deviation. With a Student's T Table, you can also perform a wide range of tests. However, these are usually made to see the differences between two different groups, either within the same or different populations. For example, you might want to be interested in finding out what management system works better in terms of output. The t-test is usually the one that is required because it allows you to test for a significant difference between the means of the two groups. When doing a t-test, you need to be careful with your conclusions because the sample of the population may be too small to make the results relevant. It can also happen that despite the difference between the two groups is small, you can't actually say that there is no difference between the two. All you can say is that the results were based on the sample populations and these conclusions can be withdrawn from there. The F distribution table is also used very often, especially in variance analysis. The F-distribution is a continuous probability distribution that appears often as the null distribution of the F-test. The F-test is very similar to the t-test. The main difference is that while the t-test will only tell you if a specific variable is statistically significant, the F-test use a group of variables to see if they are significant together. When we refer to statistically significant we are talking about getting to valid conclusions. When your results weren't statistically relevant, you don't need all the data that you gathered because you won't be able to reject the null hypothesis. The chi-square table has the chi-squared test underneath. And unlike the t-test or the F-test, the chi-squared test tests relationships between different categories. The chi-squared test is the one that you need to perform when you're looking to analyze several characteristics at once. For example, you can classify cattle-holding households in different ways You may want to classify it according to the cattle they sold or didn't sell, and you may also want to classify it as if the cattle died or not. The cattle can also be classified according to their herd as well as if they were or weren't infected with some particular disease.